Mir Nauman Tahir. Development, Configurations, Tutorials and bla bla bla …. You are currently browsing the tag archive for the ‘Android Google Maps Application’ tag. Android Google Maps Tutorial Part 1. Basic Development. This tutorial is first of the detailed tutorial that am planning to write. Some short details about my development environment. 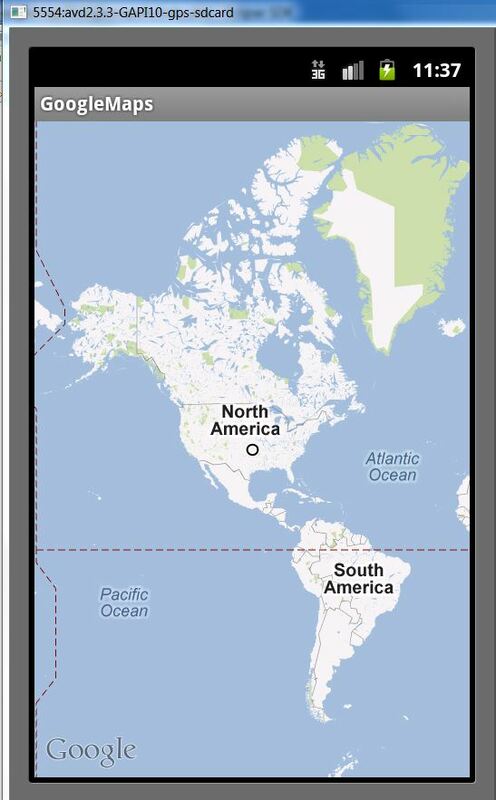 Before we start with the development of our first Google Maps Application for Android. We need to get Google Maps Api Key. I have made it very simple to get the key. Follow the link. Perform all the steps in the above link and get the key. When we have the key than we will proceed will our development of Google Maps Application for Android. Select Google APIs Platform 2.3.3 API level 10, and move next. When the project has been created. Open your MainActivity.java file. In my case I have named it GooglemapsActivity.java. Import the following. Save the changes. Now open the AndroidManifest.xml file and Add the following permissions above the application tag. 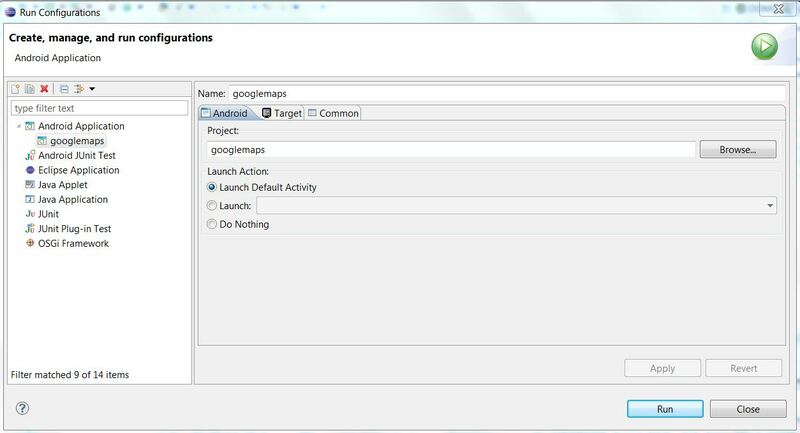 Now add the google maps library in the manifest file, inside the application tag above the activity tag. Save the changes. 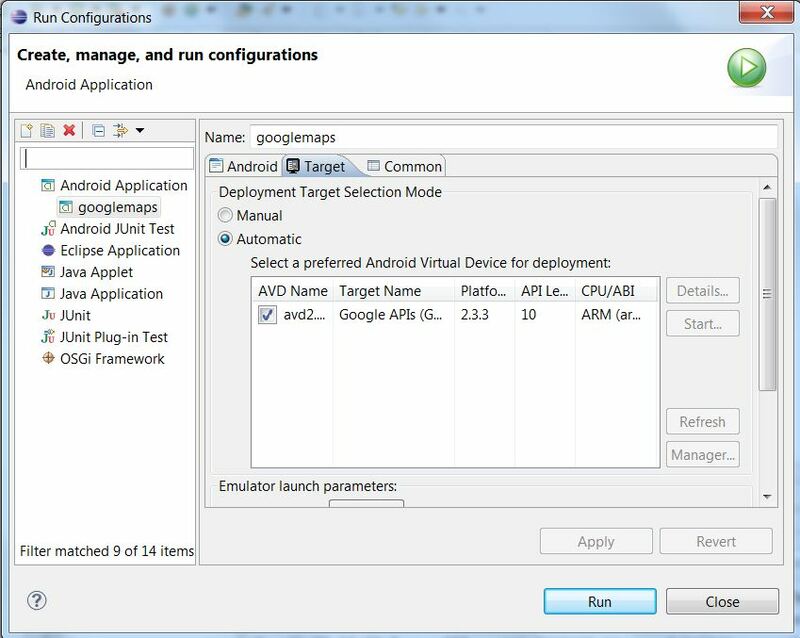 Now Open the Android Virtual Device Manager and create a new AVD with the following settings. 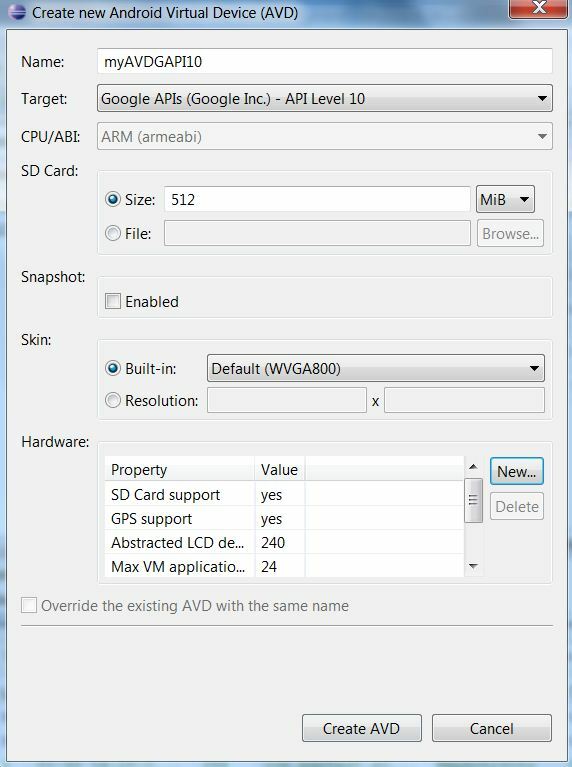 We must provide GPS and SD Card support in the AVD because we will need these two functionalities for our future tutorials. Now Right click on our googlemaps application from the PackageExplorer and click Run Configuration from Run As menu. Now Create new configuration from the selecting our googlemaps application on the Android Tab. And Select our recently created AVD from the target Tab. Click Apply and Run. Everything is fine still the application will not load any map. Reason is that, we have not created an instance of our MapView in our main GooglemapsActivity Class. To do that. Add the following lines of code below the setContentView() line. Save the changes and run the project again. Now everything is double fine but still the emulator will show empty grid like the one shown in the picture. 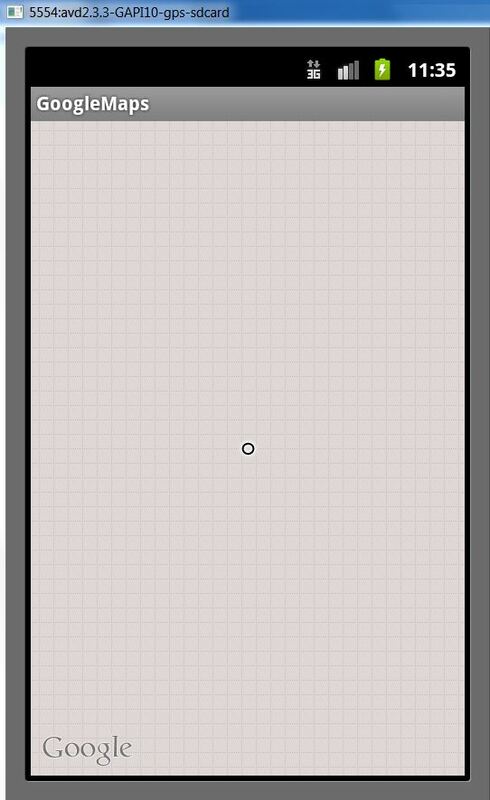 Reasons for this blank grid is that we have not supplied our application with the google maps api key. For this Open the main.xml file and replace the following code. The “xxxxxxxxxxxxxxxxxxxxxxx” show your Google Maps API Key that we have generated at the start of this tutorial. 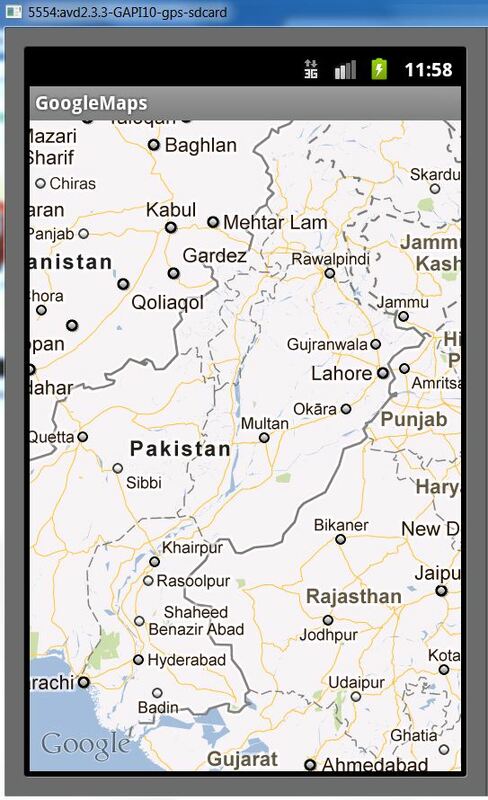 If the Google Maps API Key is correct than we will get a screen like this. We can animate the map to a default location or to our desired coordinates. Add the following lines of code and the map will load at our desired coordinates and our desired zoom level. We have provided latitude = 30 and longitude = 71, zooming level =7. The map will center at the provided coordinates at the provided zooming level. I may have forgotten to explain some details so i am attaching the complete code the 3 main files for this project. Note:- Please leave your comments if this article was helpful. if this doesnt work than check ur google maps api key. Issue in which maps is not shown on the phone, if only dark screen is shown than this can be solved by zooming out a few times. Zooming out will solve the blackout screen problem. If map grid shows but no map appears than check the google maps api key. For Android Google Maps API Ver 2.0 developers follow the following link. 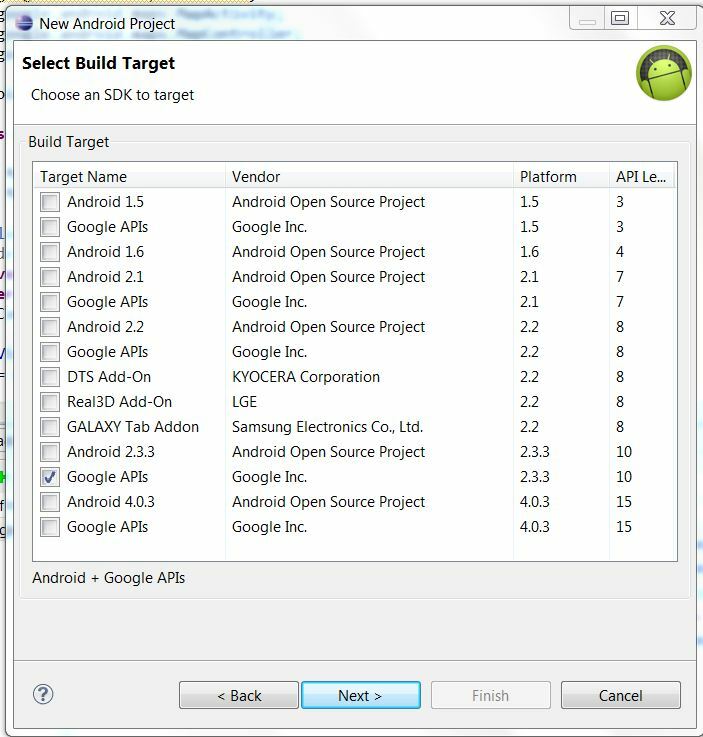 Android: Calling a web service using KSOAP2. Passing values to a web service. Android Google Maps Tutorial Part 4, Adding Menu & Some Additional Functionality Like Zooming, Changing Map View, Animating To GPS Current Location Using Menu Button. Can't find debug.keystore in .android folder. Issue Solved. Android Google Maps Tutorial Part 5, Adding Multiple Images To Google Maps Using ItemizedOverlay. Android Google Maps Tutorial Part 8, Geocoding and Reverse Geocoding.